Big News! After almost three years, 370 posts, 5100 photos, and 280,000 views, we’ve decided to move the hosting of our WordPress blog onto our own site. The new blog location will be http://blog.deremerstudios.com. We’ve transferred over all the archives, including all the images, comments and likes to the new location, so you’ll still be able to search and find what you’re looking for from the past three years. For the time being, we’ll be keeping this site up as well, though all new posts will be at the new blog location. For most of you, your subscription should transfer over to the new site without an issue, but if you’ve signed up for email updates, you’ll need to sign up a second time. As always, if you enjoy our photos, please share the new blog address with your friends and help us spread the word! 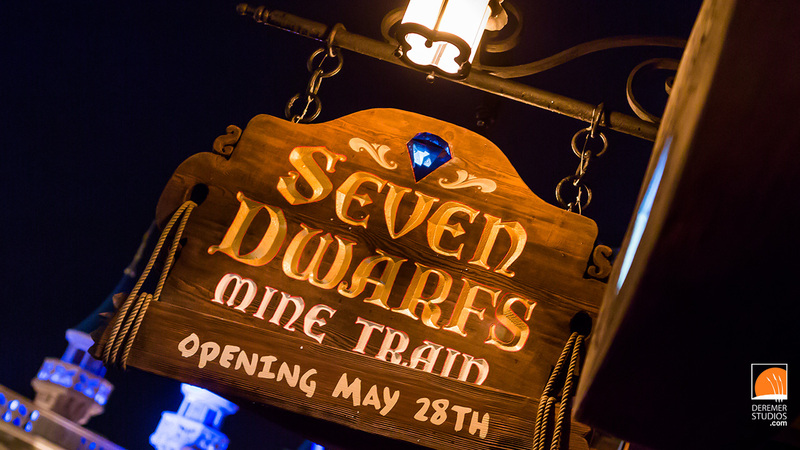 This is a bit out of our normal realm of photography, but while on a family trip to Disney this weekend, we discovered that the new Seven Dwarfs Mine Train was open during the evening for preview rides. Needless to say, we were pretty excited, but there was only one problem – I had left our work cameras in the car. So, with iPhone and a little waterproof camera in hand, I tried my best to get some descent shots to share with friends and followers alike. But, because of the very low light, the results weer lackluster. Fast forward 24 hours, and we made a special trip to ride again, this time with our professional gear in tow. So, here’s a photographic sneak peek of Disney’s great new ride before it opens! Let’s start with the line – which was about 60 minutes long. 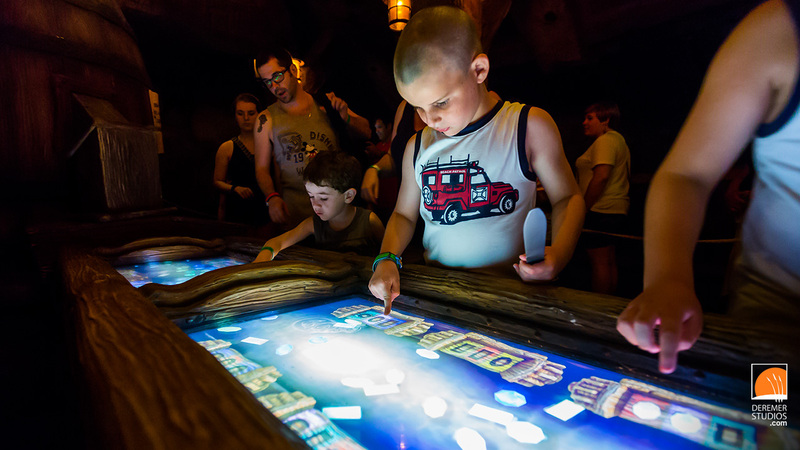 As Disney has began to do, there are several great game stations with interactive screens (above) and fun activities that help the time go by. You can see photos of each station in the gallety below. The ride itself is about as quick and slithery as Thunder Mountain – though smoother thanks to the suspended cars – and it also has a slower portion in the middle that takes you on a tour through the Dwarfs’ gem-crusted mine (below). Thanks for visiting out blog! Check out all the fun in the galley below! As always, please feel free to download any images you like – and if you enjoy our photos, please share this blog with your friends and help us get the word out! What a year it has been! As I look back on 2013, I am overcome with thankfulness to all the many clients, couples and individuals who chose Deremer Studios to provide for their photography needs. We know there are many, many photographers out there, and we count it a privilege to have been able to serve each of you. This year, we had the joy of photographing over 200 events, weddings and shoots – so there are just too many to list individually (though you may see a photo or two from many of our shoots in the gallery below). However if you would like to see our highlights from any given section, feel free to click on the links below. There are two particular shoots I would like to mention – for two very different reasons. 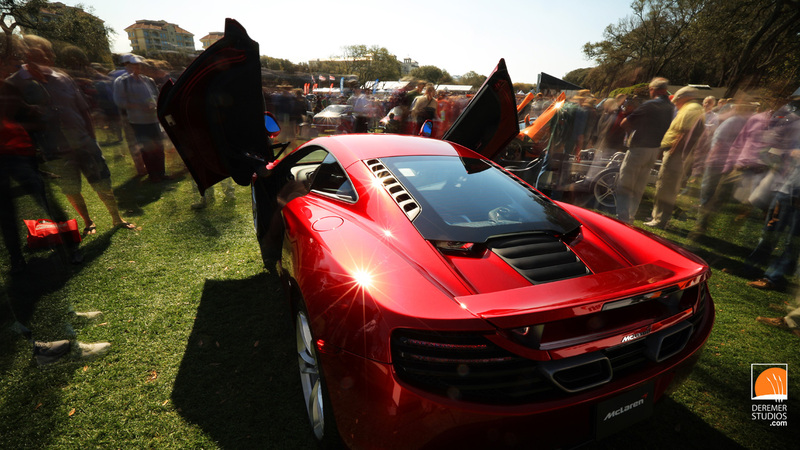 The first is our coverage of the Amelia Island Concours d’Elegance for McLaren (top). When I was young, the McLaren F1 was by far the most amazing supercar ever made – and I loved it! So, when I received a call from McLaren, I was a little surprised and more than a bit excited. This was a dream come true – and ‘mI happy to note we’ve been asked to photograph their presence at the Concours again in 2014. The second shoot was for our friends at Genentech (above). 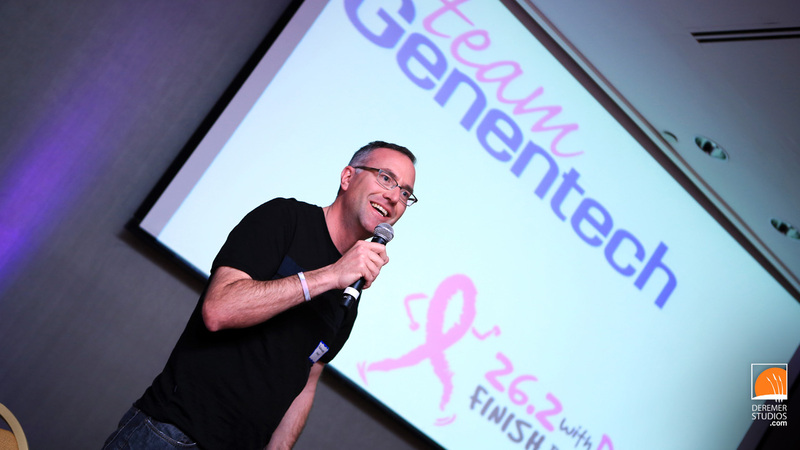 In February, we had the opportunity to photograph the 26.2 with Donna marathon on behapf of Genentech – who invents creative treatments for breast cancer. As you may know, Bryn was diagnosed with breast cancer in late 2012 – thankfully her prognosis is great and she is nearly done with treatments – but one of the treatments she is undergoing is Herceptin – developed by Genentech! Talk about a small world! A BIG THANK YOU to everyone who helped to make 2013 such a wonderful year! As always, please feel free to download – and if you enjoy our photos, please share this blog with your friends and help us get the word out! Big News – Deremer Studios Receives Top National Award! We have a very exciting announcement we’d love to share with you all! We recently received word that we’ve been inducted into the Knot’s inaugural Best of Weddings Hall of Fame. Of the over 20,000 wedding professionals listed on The Knot nationwide, Deremer Studios was one of only 253 companies to receive this honor – placing Deremer Studios in the top 1% of national wedding providers. Within Florida, Deremer Studios is one of only six photographers to receive this award and the only photographer in Northeast Florida. We know that it is because of all our wonderful couples, and the great feedback you have all provided over the years, that we’ve received this wonderful honor. 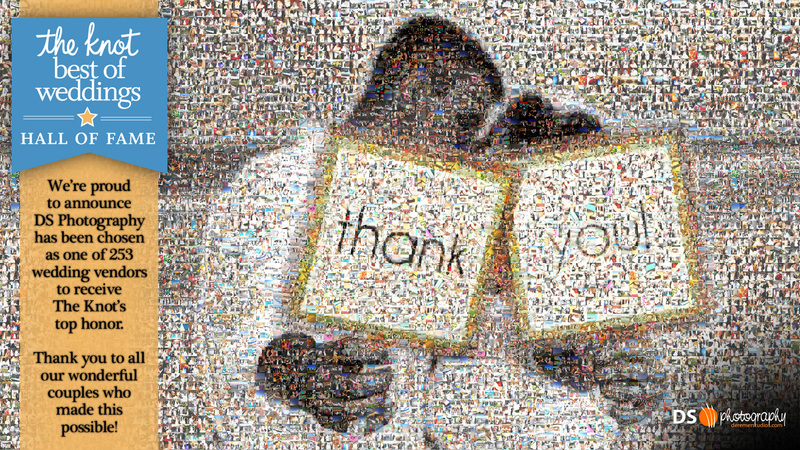 As a small way of saying thank you, we’ve put together four ultra-high resolution photo mosaics featuring all our wedding blog posts and a selection of our earlier favorites from through the years. Please feel free to download, share or print any or all of the photos below. 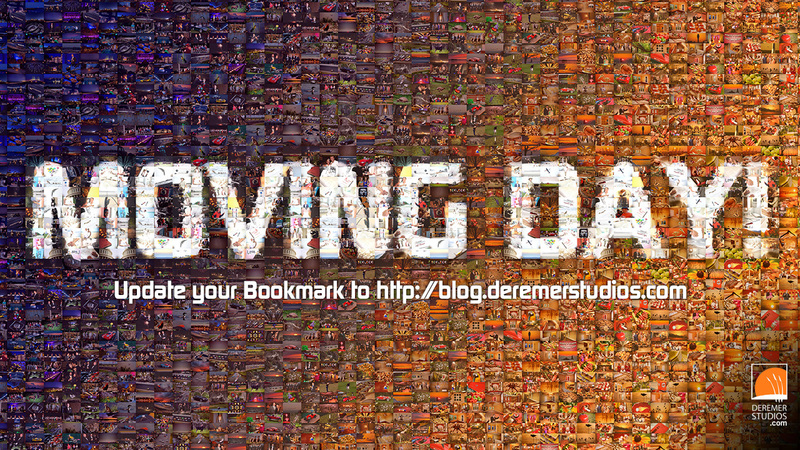 It’s like a giant Where’s Waldo – have fun looking for your individual photos within the bigger picture! Over the past 11 years, we’ve had the honor of serving over 450 couples. It truly has been an honor! A Sincere thank you to each of you! What a Day for Wild Weather in Jacksonville, FL! At our office, we collected 5.2 inches of rain in under 2 hours! And if that weren’t amazing enough, just a few miles down the road, a quarter-mile wide EF2 tornado touched down and caused extensive damage. 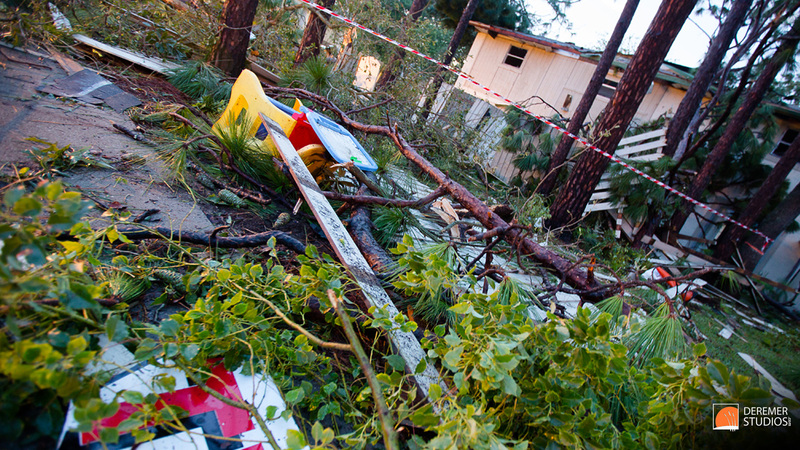 Tornadoes and waterspouts are somewhat common to our area, with one or two a year, but it is extremely rare for an EF2 tornado to hit northern Florida. Thankfully, no one was killed or seriously injured, and the Tornado was only on the ground for a half mile or less, but as you can see from the photos, it caused quite the damage. Be sure to look at the gallery to see the 2×4 imbedded half way through a second story wall. However, the day was not entirely marked by destruction. As I was headed home after shooting the aftermath of the tornado, I saw this amazing afterglow from the sunset. Amazing! 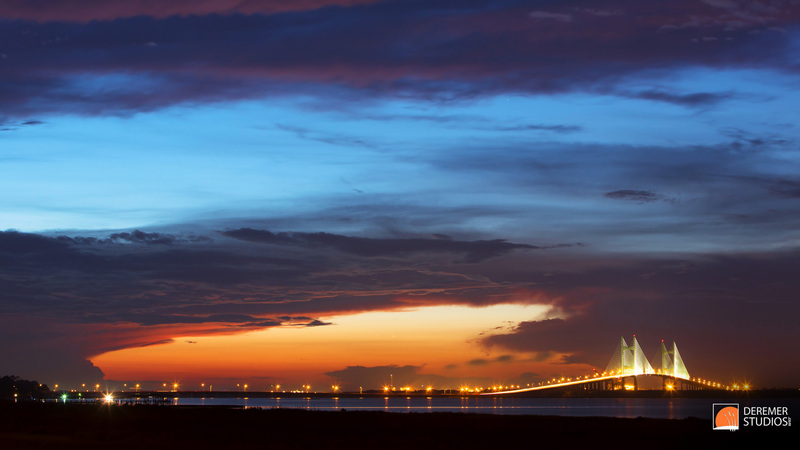 Enjoy the photos – and of course, feel free to download as HD desktop wallpaper below! 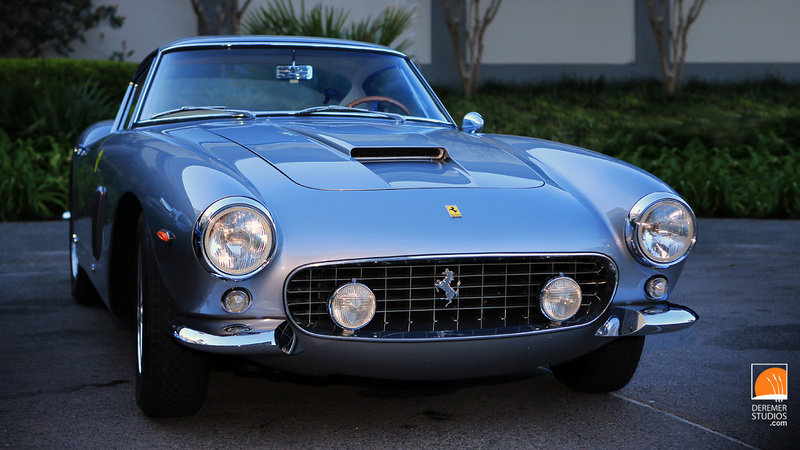 On Monday, we were arriving at the Ritz-Carlton, Amelia Island for a corporate event (post coming soon) when I stumbled upon this little gem – a 1960 Ferrari 250 GT. This car, along with several others were there for the annual Orange Blossom Tour, put on by Classic Motorsports Magazine. Around the resort, everything is beginning to take shape, with the RM show tent being erected and the special auction area setup for the big weekend. 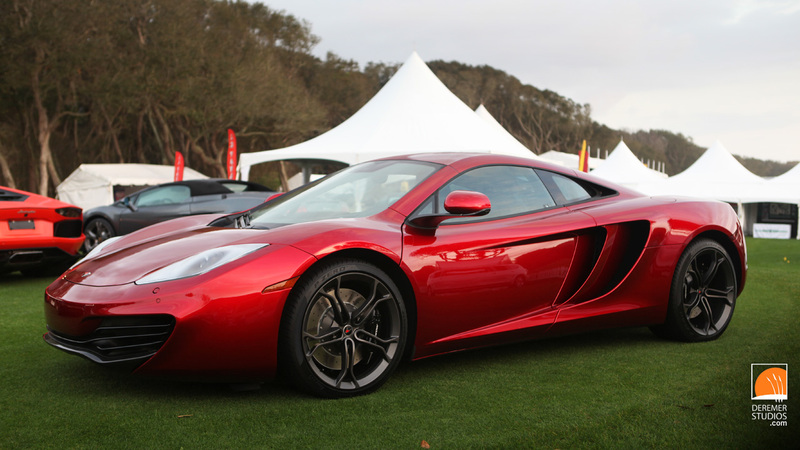 As in previous years, we’ll be shooting the 2013 Amelia Island Concours d’Elegance on behalf of the resort. And now for the BIG news – McLaren, the British supercar manufacturer of such venerable giants as the F1, and the stunning MP4-12C above, has hired Deremer Studios to cover their display for the Concours. As a young adult, I was borderline-obsessed with the then new McLaren F1 – the worlds fastest production car with a top speed of 241MPH. So, having the opportunity to spend the weekend with some of the folks who brought us that car will be rather thrilling. Stay tuned for some great cars on the blog sometime early next week! But, with all the fun and pageantry around Christmas, it would not be complete if I were to stop my story here. The story neither stops or begins in the Deremer home. The story of Christmas is as old as time – older in fact. Before the computer, before the car, before the printing press, before the wheel, before the human race, before the earth, before even time itself, God in his goodness and mercy set in motion a plan that would culminate 2,000 years ago in the humble birth of a king who would defeat the greatest enemy of all; death. By coming to earth, Jesus the Christ set aside all his rights as God, lived the perfect life that we never could, suffered and died in our place, and rose from the dead, conquering death for all those who put their faith in him. As always, feel free to download one or all of these HD photos – sized perfectly to use as your desktop wallpaper! Below are some of our favorite shots from the day – enjoy!